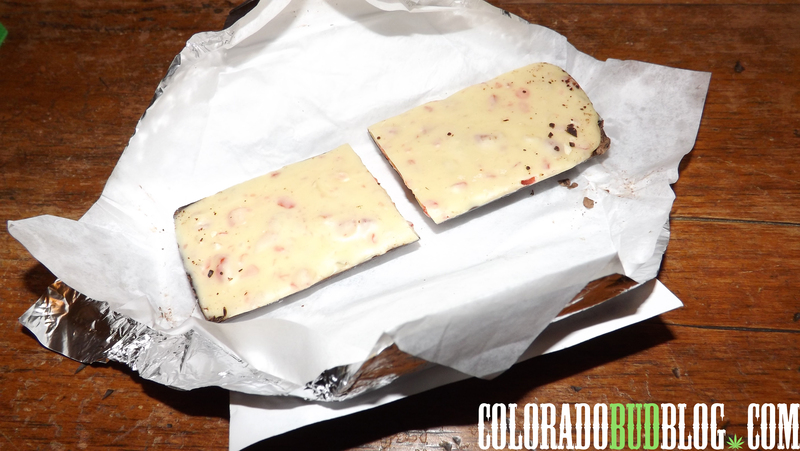 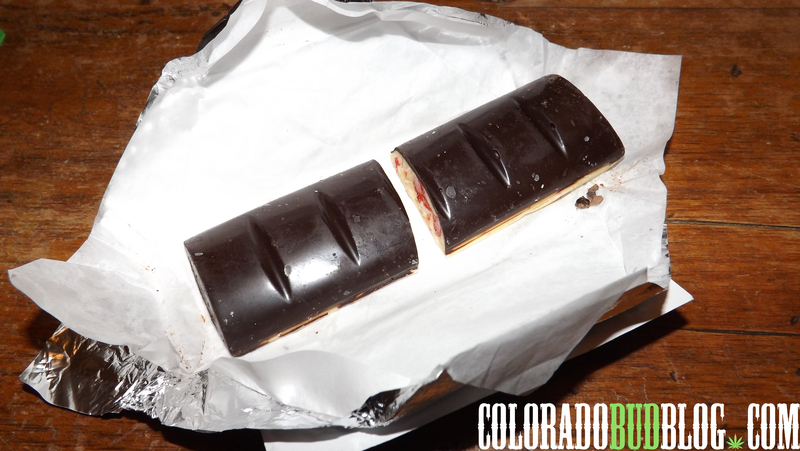 Peppermint Bark Bar from Gaia’s Garden Edibles. 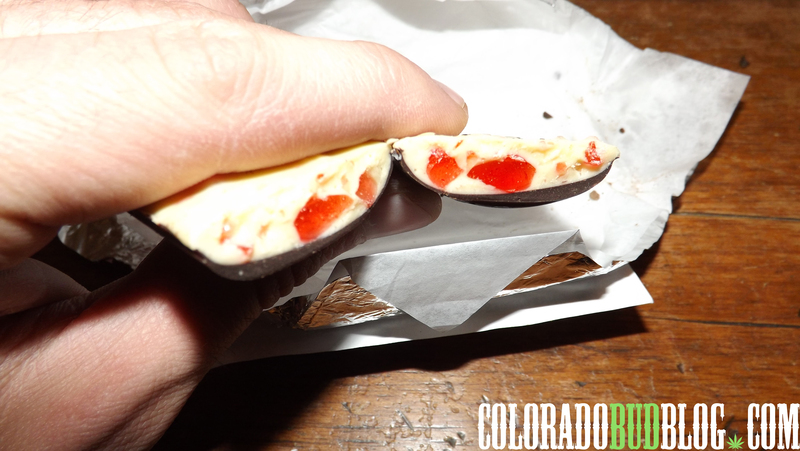 Dark chocolate on top, white chocolate and peppermint pieces on the bottom. 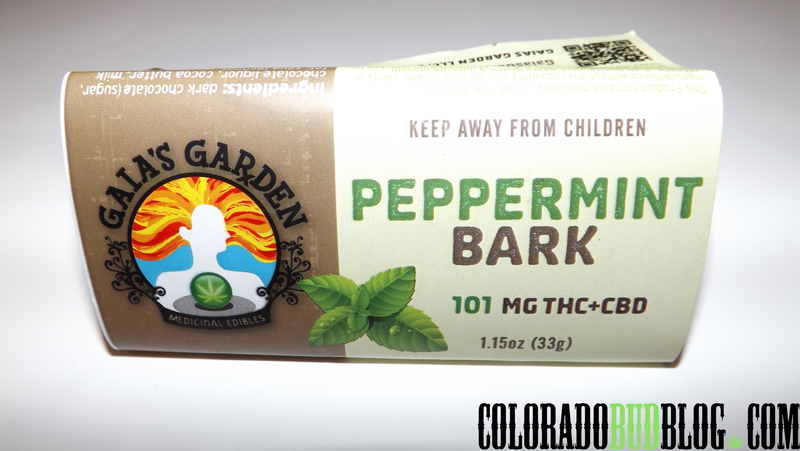 The peppermint pieces add the perfect amount of crunch to this edible! 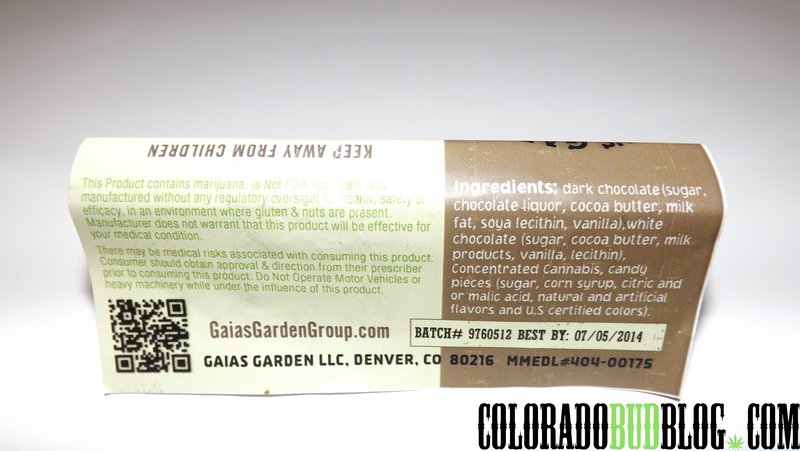 101mg THC/CBD.